One of the biggest fall trends is anything animal print. From snake to cheetah to leopard, if you have any of these, you are already fall ready. My favorite print is leopard and when I had the opportunity to partner with #andotherstories, I knew this dress was the one. 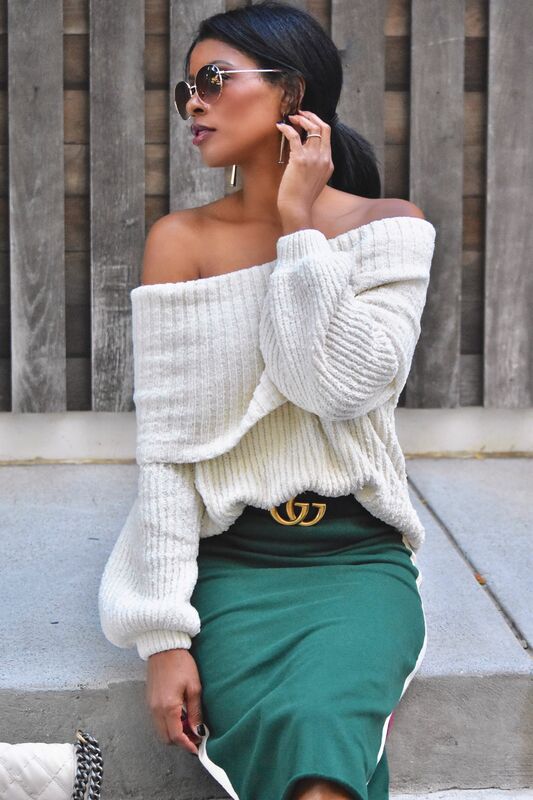 I am a sucker for detail and the ruffled sleeves, ruffled hem, ruching top and dainty little string belt had me at first click. I love the color and depth of this dress and love how it falls on my body. It also elongates the body, so that’s a plus as well. While I love the dress, I knew that I needed something else to really make the look pop. Enter the straw beret!!!! I wanted to give off a Parisian feel as this dress was designed in the brand’s Paris atelier and the beret was perfect. I also added a caged heel to keep with the Paris vibe but also enhance the dress’ glamour level. A red clutch and minimal accessories was all that was needed to finish the look. So if you’re on the lookout for fall styles (I think we all are) be sure to find leopard. I’ve seen it on the runways…on the streets…in the magazines…all around. 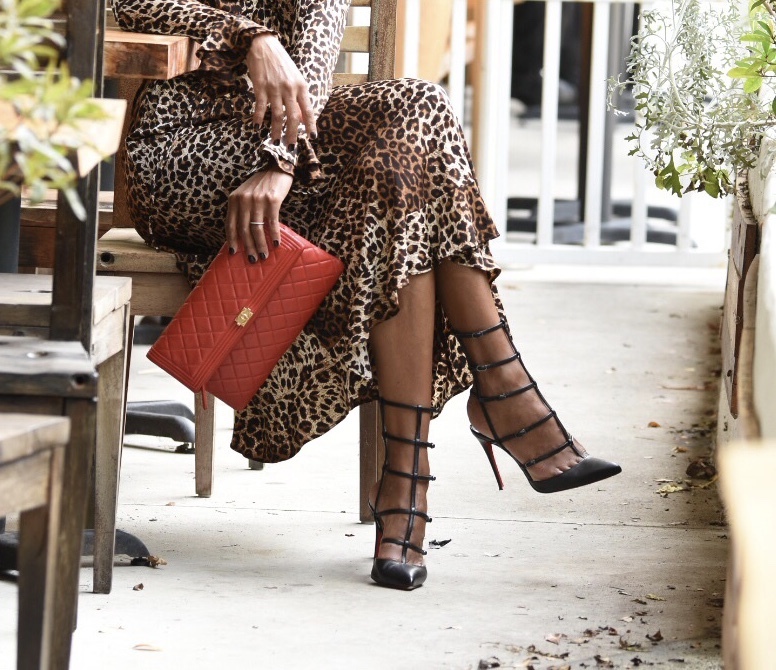 What I love most is that it is being compiled styled, meaning all types of leopard prints being worn at once, from dress to bag to shoes. If you are not crazy about the idea of being in all animal print, feel free to use the prints to accessorize your look (i.e. just the bag, shoes or hat alone) and you will still be on trend. 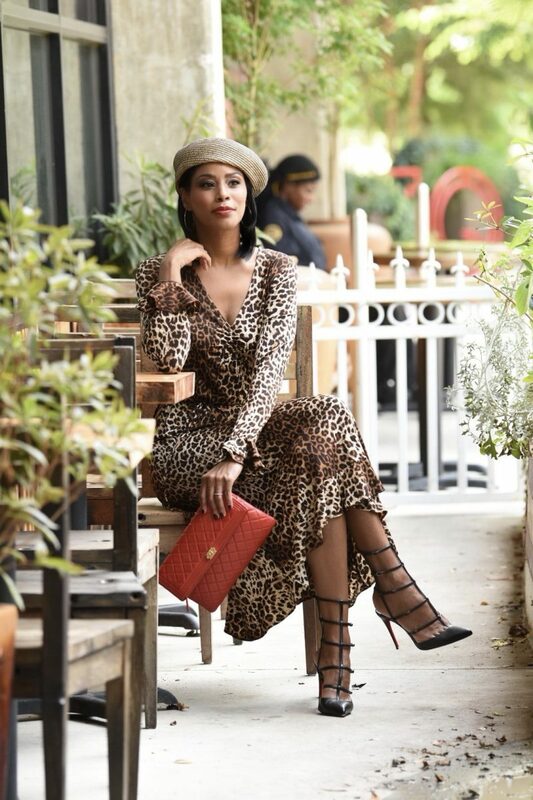 Today’s pick: leopard print dress with straw beret, caged heels and red clutch. Dress (And Other Stories), Beret (Urban Outfitters), Heels (eBay, or here or here), Bag (old similar here and here). I hope you are as excited about fall fashion as I am.